Mission: For Trinity UMC in Hackettstown, mission is central. Whether around the corner or across the globe, this outbound, missional congregation challenges its members to step outside their comfort zones to see life and faith through a different perspective and grow spiritually. Those who have gone on mission trips report back to the congregation during worship, which has led others to subsequently join mission trips. For the last 17 years, groups from Trinity join thousands of volunteers from around the country in rural central Appalachia to help repair homes for low-income families. The ministry not only seeks to provide struggling families with assistance, but also promotes and emboldens volunteers to return to their communities with a passion for service, renewed compassion for others, and a fresh appreciation for their place and purpose in the world. Throughout the year, teams from Trinity host three fundraisers: a roast beef dinner, Christmas tree sale, and a banquet auction, to raise necessary funds for their trip. Trinity youth actively serve their immediate community, Northern New Jersey, Philadelphia, and Washington, D.C. The “Midnight Run” team at Trinity has conducted monthly midnight and breakfast runs into New York City. Each month the youth collect clothing, bags of toiletries, and food to distribute to the homeless at various stops. Youth also partner with “The Porch” – an inter-church holistic ministry dedicated to presenting the love of Christ to the youth of Washington, D.C. The program strives to make disciples of Christ by providing a safe and welcoming space for the youth of D.C. to know, receive and respond to God’s love and healing. Every year, teams from Trinity venture into the deaf communities of Peru; a country with limited educational opportunities for the hearing impaired. The church also sends groups to the Dominican Republic to partner with International Child Care’s Community Health Programs, providing therapy training and supplies for developmentally disabled children, parents, and healthcare workers. Groups also travel to neighboring Haiti to serve children and missionaries, providing supplies and participating in various work projects. In addition, the church has partnered with a Methodist pastor in the Philippines for the last 15 years, helping to work against the challenges of extreme poverty, tsunamis, and political violence. Through the congregations continued financial support, Bibles, Christian education materials, instruments for youth praise bands, and salaries for teachers have been made possible. Trinity’s missions include a food pantry and a community-wide Thanksgiving program. The church partners with Carmen Ministries which works in state correctional facilities, seeking to afford youthful offenders the opportunity to hear and respond to the gospel while also assisting them in the pursuit of continuing education. Through ‘Trinity House’; the church’s community outreach, free weekly classes in English and Spanish as a second language have been offered over the last ten years. Apostle: Rev. Dr. Frank Fowler serves as senior pastor of Trinity UMC in Hackettstown, the church he grew up, was confirmed, and called to ministry in. His ministry has included a passion for the local church and a strong emphasis on helping people grow in discipleship through hands-on mission. Fowler has led by actively engaging himself in mission. Fowler earned a B.A. from West Virginia Wesleyan College, an M. Div. from Wesley Theological Seminary and a Ph.D. from New York University. 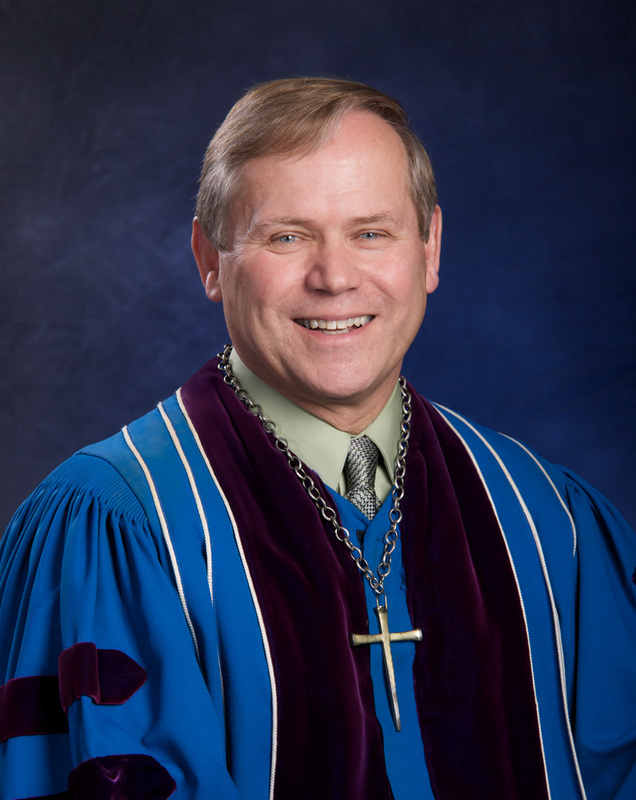 As an ordained elder of GNJ, Fowler has served local churches for 43 years and has taught classes at Centenary University and Drew Theological Seminary. He is married with five children and six grandchildren.